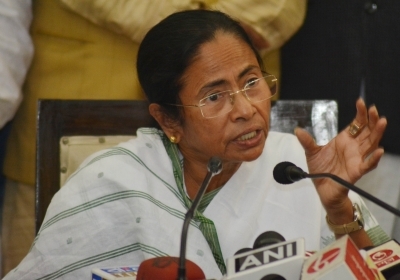 Siliguri July 12 (IANS) West Bengal Chief Minister Mamata Banerjee on Thursday said her government would cancel the lease and auction the tea gardens that have been shut for a long time and file criminal cases against tea garden owners defaulting on employees provident fund and gratuity. Holding a series of meetings during the day at the northern West Bengal secretariat Uttarkanya with regard to the problems of tea gardens in the region she met representatives of tea gardens and also discussed the issues with cabinet colleagues - Labour Minister Moloy Ghatak and Arup Biswas - and senior officials. "We will file a criminal case against the tea garden owners who don t pay PF and gratuity. Though PF is under the Central government strict action will be taken for non-payment " said Banerjee. Regarding closed tea gardens the Chief Minister said: "We will cancel the lease and auction the tea gardens that have been kept closed for a long time. Six tea gardens have been non-functional from the days of the Left Front rule." Banerjee also set up an expert committee to under Chief Secretary Malay Dey to find a permanent solution. The panel would furnish a report after looking into the problems of the tea gardens. "I want a permanent solution for tea workers. We have plans for the tea workers and their children who face malnutrition " she said. "We have taken initiative to open four of them work is under progress. Two of them are facing litigation for which we are approaching the court " she added. The state government has proposed a daily wage of Rs 176 for the tea garden workers till the minimum wages were finalised. According to the Chief Minister the community developement programme need to be enhanced. "Vocational training will be given to the non-workers who cannot get a job in the tea gardens. They can be given various skills like poultry farming and the Animal Resources Development Department can help them " she said. Micro-financing has also been planned. There have been discussions about Tea Tourism using the tea garden land which will bring benefits for the tea garden workers.